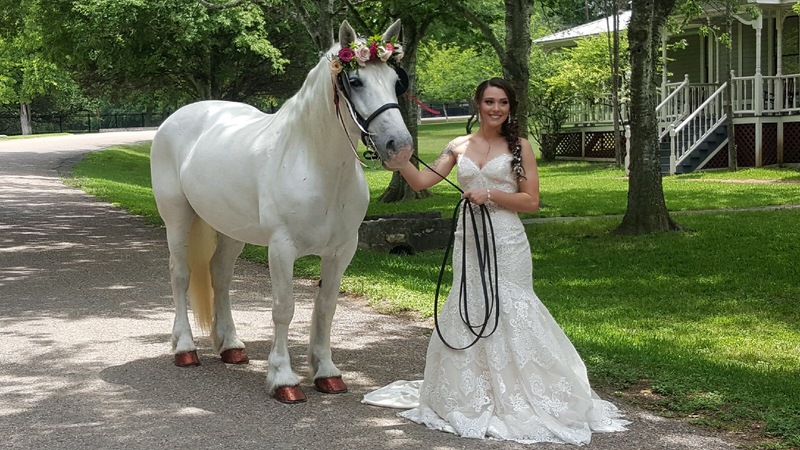 Miss Diva is our snow-white Percheron cross and has fairy-tale-good-looks. Diva is as calm and friendly as she is pretty. She was born in 2007 and with her first owner in Houston, TX, went through the same training as a Houston police horse. 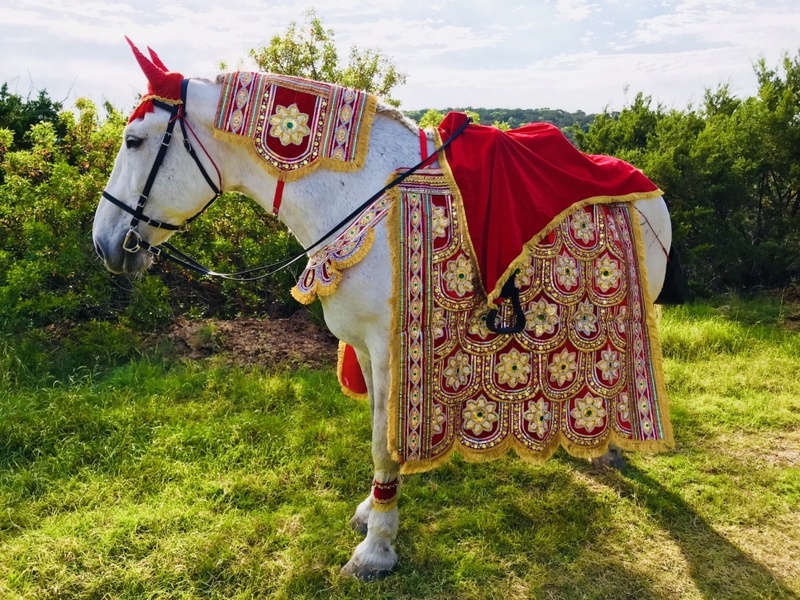 She is an experienced commercial carriage and Baraat horse. 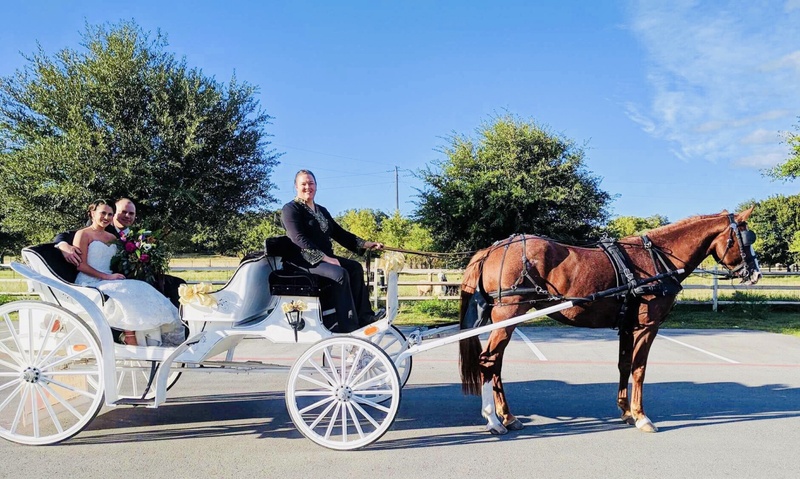 Diva has everything it takes to ensure you have a perfect horse-drawn carriage or Baraat horse experience on your special day. Miss Josie is our newest addition to the family. She is as sweet as she is majestic and at 17 hands (68 inches) tall, she is the tallest in our group. Josie came to us all the way from Michigan. 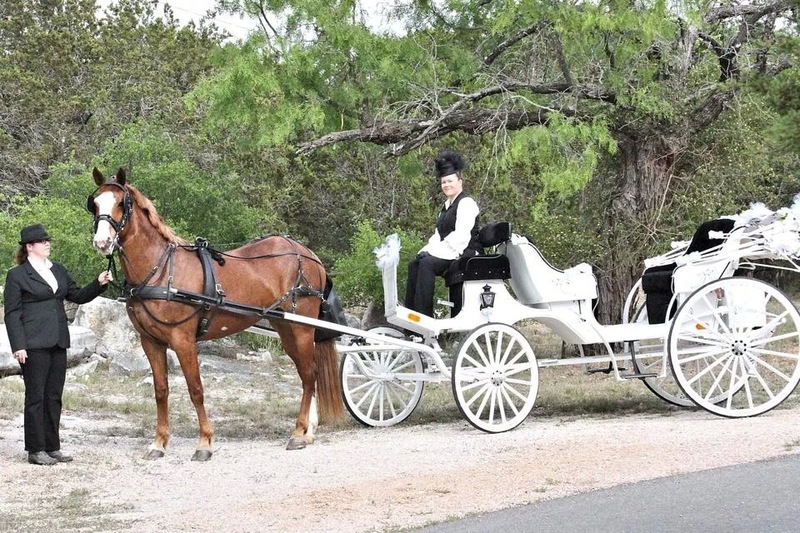 Born in 2003, this Percheron started her life as an Amish workhorse and then in 2015 became a commercial carriage and Baraat horse. We are excited to have her here in Texas with us and look forward to her leaving a significant impact on your big day. Miss Dolly is our supermodel Standardbred/Belgian cross. Born in 2006, Dolly was originally an Amish road horse. This means she was used for taking the family to and from town, trotting up to 30 miles a day, while pulling a buggy. Dolly is a sweet horse and a lot of fun to drive. She prefers the easy work of pulling a carriage much more than being ridden.